Exotic appeal! 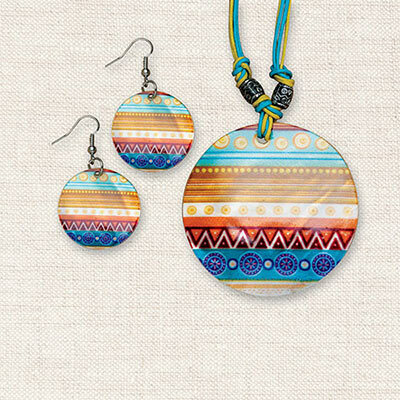 Our natural capiz jewelry is made of lovely shell disks covered in a beautiful pattern reminiscentof ancient Aztec designs. Silver-tone beads and astrand chain add extra flair. Necklace,16"l chain with 2½"l pendant; Earrings,French wires, 2"l.